Spenser's 29th case takes him to faraway Potshot, Arizona, where somebody's gunned down Mary Lou Buckman's husband Steve on the main street in broad daylight. Parker (Hugger Mugger, 2000, etc.) spins out his opening moves so effortlessly that you may never ask why demure Mary Lou has to go as far as Boston to find an avenger who'll come down hard on a local outlaw called The Preacher and the gang of extortionists she's convinced pulled the trigger. But after a preliminary trip in which the town fathers offer him big bucks to clean out the criminal element and restore Potshot's reputation as a haven for L.A. yuppies, even Spenser, back home to start gathering his Magnificent Seven, has to wonder whether there's more to the story than he's been told. And the overlong second movement devoted to his cross-country recruiting drive—which nets a WWII movie platoon updated for the new millenium: an African-American, a Mexican, a Native American, an Italian-American, a gay guy, and a straight guy who's a great cook—offers him more than enough leisure to ponder. The Preacher had already admitted to extortion but not murder; now a West Coast mobster warns Spenser to lay off The Preacher, then announces that he's changed his mind. Meanwhile, a series of catty ex-wives have claimed that Mary Lou played the field at least as freely as Steve. Amid the susurrus of poets (Frost, Stevens, Wordsworth, Hopkins) whose taglines get dropped as freely as stars' names at a Hollywood party, even Spenser, though several twists behind the gentle reader, has to wonder which side he's on. 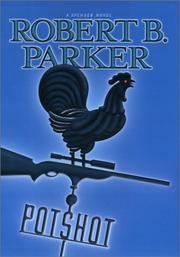 Like Mickey Spillane and Elmore Leonard, Parker reminds you how much hard-boiled fiction owes to western dime novels. This time, though, what gets recycled is mostly faux nobility—Spenser won't shoot unless the bad guys shoot first—and male attitude.